Let your spirit feel the break of dawn. Seek a moment of harmony and find inner peace. The forest quietly comes to life and the soft light breaks in the tree tops. The rays find their way to the forest floor which is slowly getting warmer. Life begins to trickle. Now it is dawn in the forest where all the trolls live. 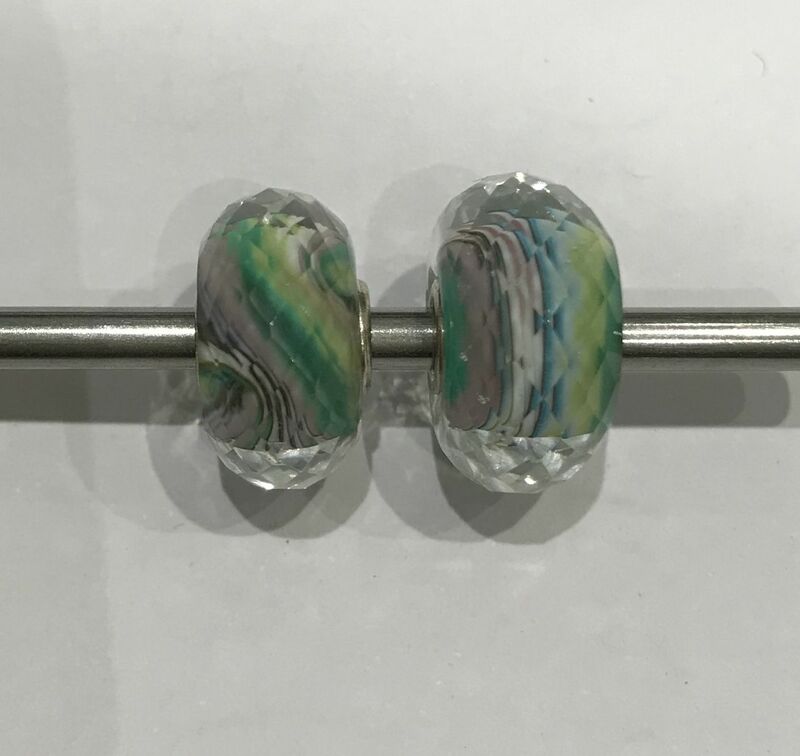 A fabulous faceted green, blue and purple bead to add to your collection, made with 925 sterling silver.